Remember how the different Zords in Power Rangers morphed together into one Mega Zord? 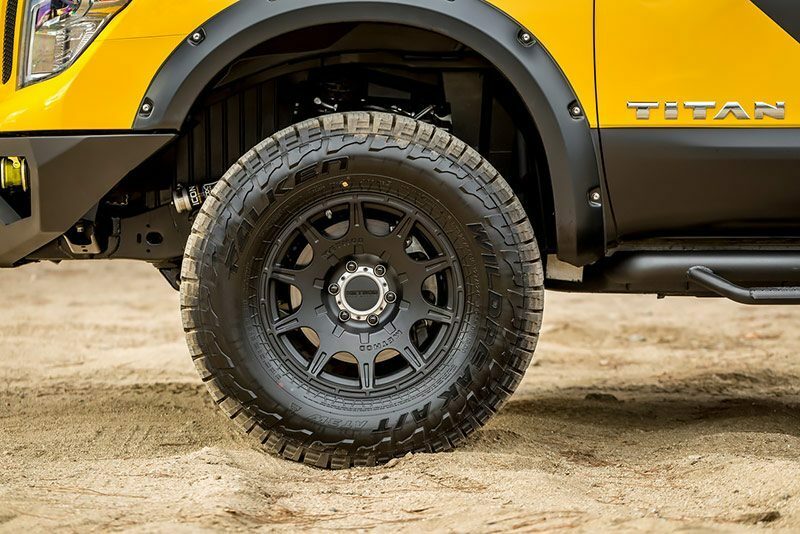 That’s the best way that we can describe the mighty beast that is the Overland Nissan Titan XD. 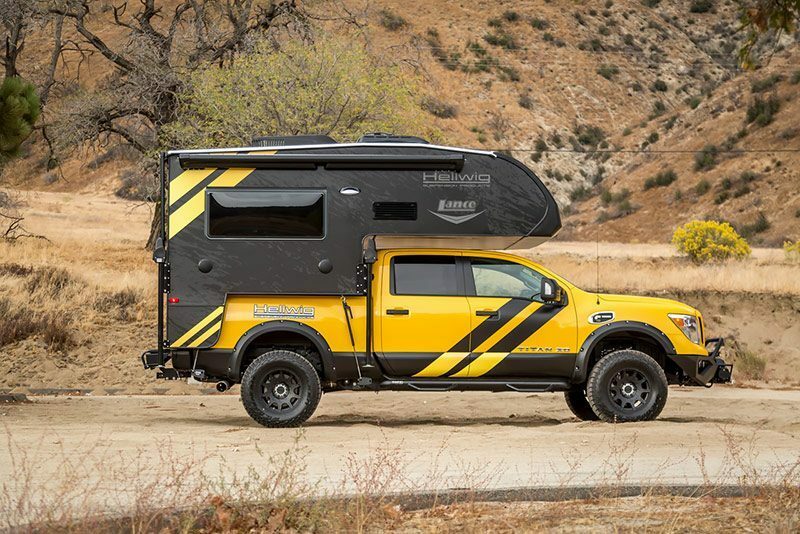 Any vehicle that closely resembles BumbleBee from Transformers is always going to be a powerful monster, and the Overland Nissan Titan XD is no exception. This 4×4 is definitely a game changer, and a vehicle that will certainly turn heads the next time you rock up at the camp site. 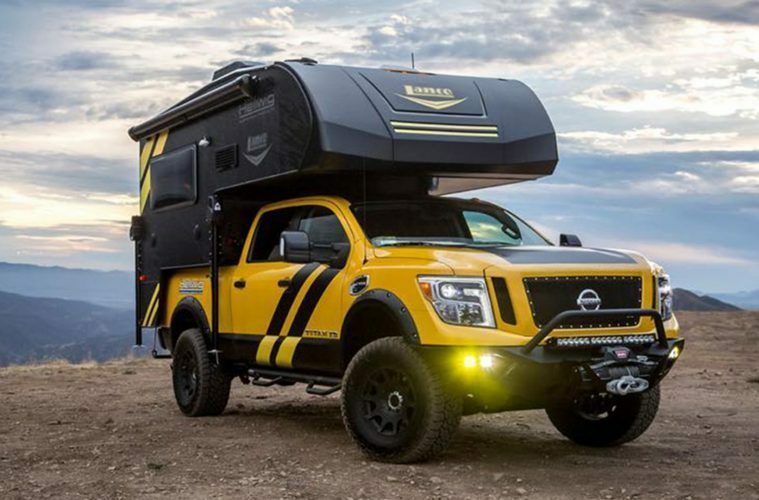 As you can see from the image above, there’s a lot more to this camping monster than just a Nissan truck. 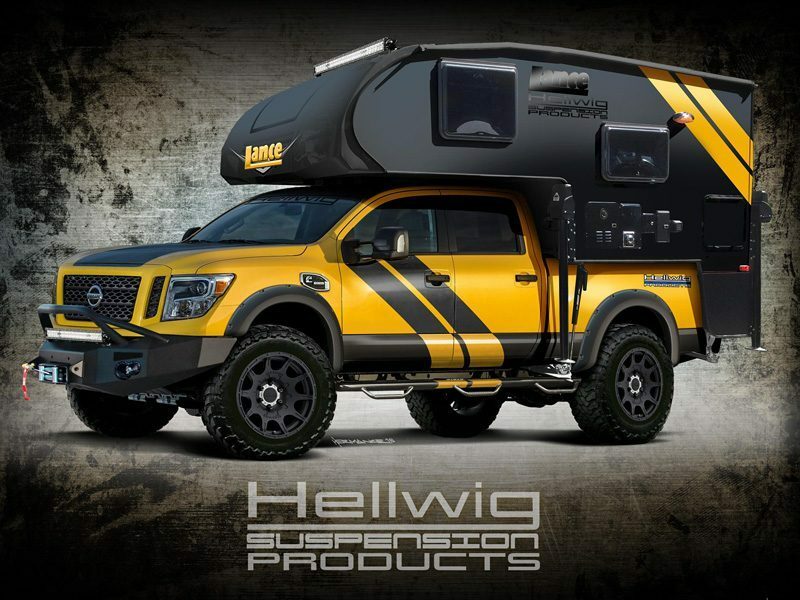 Hellwig Products and Lance Campers have teamed up with Icon, Bushwacker, MagaFlow, Warn, Falken, Torklift International and more to build the Nissan Overland Titan XD. Let’s talk about the truck itself first. 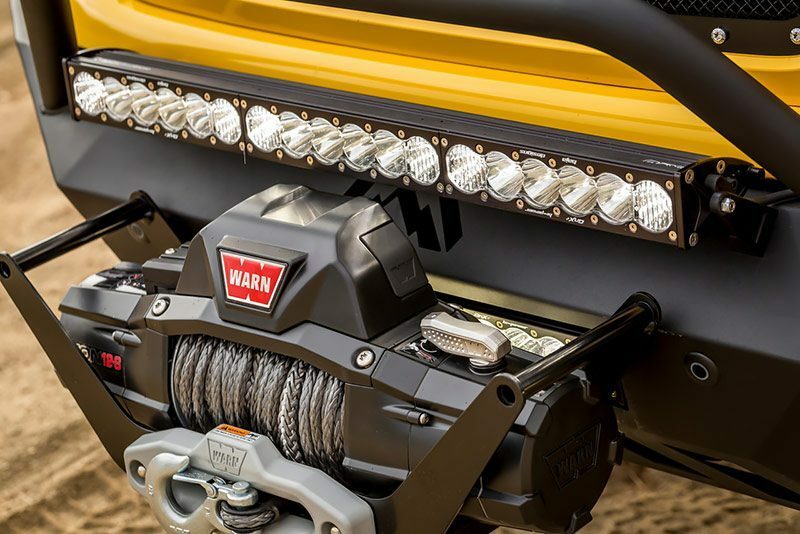 With 310 horsepower and 555 lb-ft of torque at 1600 rpm, you’ll be hard pushed to find any terrain that you can’t conquer. 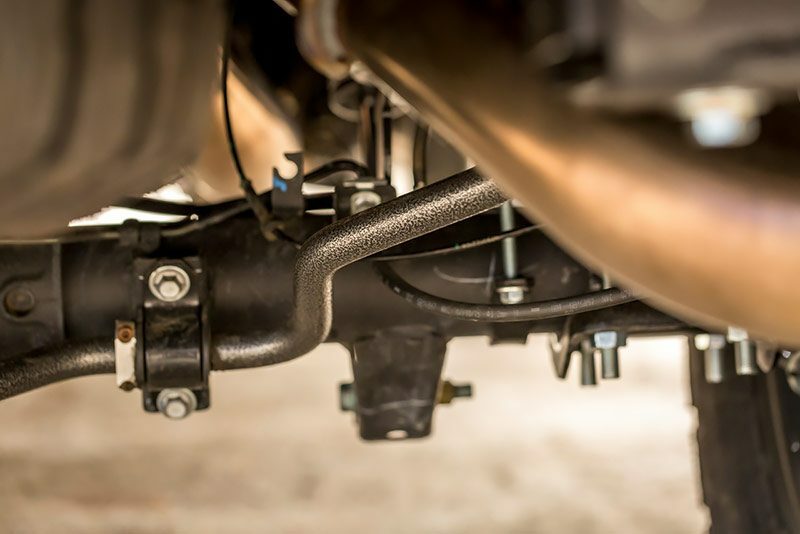 Unlike the Previous Nissan Titan, the XD has some major improvements, including suspension that doesn’t sag, which is pretty important for what you’re going to be doing with it. It’s fitted with Method Race Wheels, Roost 18″x9″ +18 offset and Falcon Wildpeak AT3W LT 325/65R18/10 tires, and the customisation doesn’t stop there. The real customisation that you’re dying to know about is what Hellwig and Lance Campers have brought to the table, and thats the Camping pod itself. It’s full detachable, so if you need to transform your Nissan back into a common old garden (albeit insanely powerful) truck, then you can remove and drive away. For a vehicle that’s rugged and ready for battle on the outside, it’s surprisingly spacious, stylish and homely on the inside! 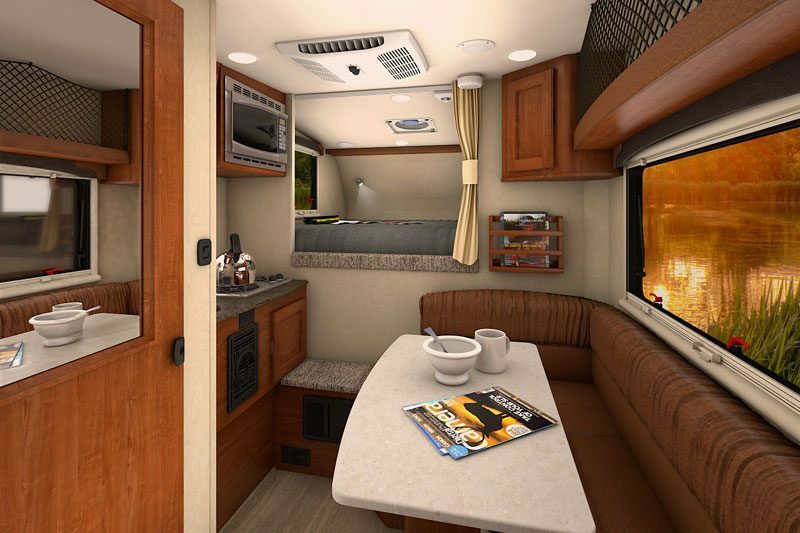 Some of the campers we see look pretty cheap and tacky on the inside, as though they’ve been warped straight from the 70s, but this attachable camping pod is definitely something that we could spend a long amount of time in without feeling claustrophobic or in need of extra storage. Theres a kitchen area with gas hob and microwave, seating area with breakfast bar, overhead cupboards, extractor fan above the best to keep the condensation at bay, and most importantly, huge windows so that you can park up somewhere nice and have a brandy whilst enjoying the view. You could go out and get a bank loan/remortgage your house for the Earthroamer, or you could get the Overland Nissan Titan XD 4×4 and still be extremely happy, if not a lot more better off. 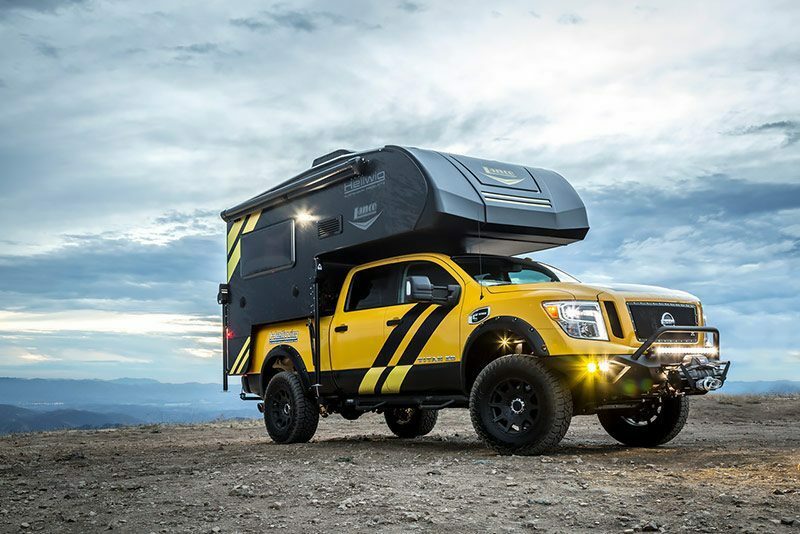 The truck itself costs just over $69’000 (around £51’500), and the added extras and camping pod will take you up to a grand total of $118’871 (around £88’800). Considering the Earthroamer costs £1.5M for a few more home comforts and a washing machine, I’d go for the Titan XD every day of the week. Like it or loathe it? Join the Van Clan on Facebook, Twitter and Instagram for more Monster Machines and Luxury Conversions.